← Is the SQL Server Community Too Successful? I am just a couple of evenings of work away from completing my latest book, the third edition of Beginning T-SQL (Apress). The evidence, file creation dates and emails, tells me that I have been working on this project since mid-February. I have been in an unusual position since last Friday. There is absolutely nothing I can do on the book right now. I am waiting for some files from Apress that I need to review. Once that is complete, I am officially done and just need to wait for the book to go to print. I know lots of people who write books. Some of them write for Apress, Wrox, Red Gate, Microsoft Press or even self-publish. Some, like me, really enjoy the process even though it can take over your life for months. I also like tech editing and do quite a bit of that for Wrox. I know some people who have written or contributed to just one book. Usually, I hear from them that they will never write a book again. I would never say that; I just need more time to devote to writing. After spending 40+ hours a week doing consulting work and fulfilling other requirements of my job, I end up working on the book for a few hours in the evening three or four nights a week. Unless I have specific plans, like a SQL Saturday trip, I devote one day from each weekend to writing. That part has been difficult especially if there are family plans forming for both Saturday and Sunday. The first book I ever participated in changed my life forever. One evening, I received an email from Brian Knight, now the owner of Pragmatic Works, but back in the summer of 2005 he was part o wner of SQL Server Central. He had seen some articles I had written for SSC and wondered if I would like to help out with his new SSIS book. I was in shock. I never imagined that anyone would want me to help write a book. Of all the books I have participated in, this was absolutely the most difficult. I only contributed two chapters, but, remember that SSIS was brand new technology at the time. There were no other books or really any resources to learn from, and it didn’t go RTM until late in the year. Somehow nine other authors and I managed to get this book together and it was released in January, 2006. This book turned out to be a pretty good seller, and it ended up on bookshelves and desks all over the world. Because of this book, I was no longer an anonymous person at PASS Summit. I was someone that lots of people wanted to meet. By participating in this book, I earned street cred. After that first book, I was approached several times for book projects that didn’t work out, either because of the timing or because I didn’t know the particular technology well enough. Finally, in 2008 Apress really wanted me to write for them and asked me what I would like to write about. I told them that I had a T-SQL book for beginners already in my head just waiting to be put on paper. I wrote that book with no other authors in 2009. When Apress approached me to write the 2nd edition, I had Scott Shaw take the lead. Now, I am back as the lead author for the 3rd edition. I also wrote a small SSRS book last year for Joes2Pros. If you have never written a book but you are thinking about it, you may have some questions. For example, why do this and what is the actual process like? Well, your Aunt Kathi is here to fill you in. Trust me, you will not get rich from royalties. Writing a tech book will get you noticed. If you are an independent consultant, it will help you get gigs. It will help you become an MVP. I believe that the value really can’t be measured in dollars. The value is bigger than you can ever imagine. The process of writing a book will vary depending on the publisher. I have done most of my writing for Apress, so that is what I’ll talk about. The easiest way to start writing is to be asked to participate in an existing book project. There is a lead author that has an agreement with the publisher and an outline. The outline may just be a list of chapters, or it could be more detailed. If you have an idea for a book, then you will need to find a publisher who agrees to work with you and publish your book. Obviously, the first method is much easier when you are starting out. 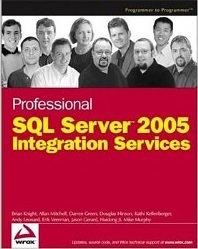 I suggest that aspiring authors write for SQL Server Central to get some experience as well as visibility. After the writing team is assembled, chapters are assigned, and contracts are in place, the work begins. You are given a Word template for your documents, a special desktop theme and lots of instructions. You will probably use SnagIt for screen captures. Some publishers are using FTP sites and some have SharePoint sites set up for keeping track of all the files. Another very important piece is the schedule. It is generally a deadline for the first draft of each chapter. It may not look bad when you first see it, but in a couple of months, it will be your worst enemy. Once the first couple of chapters are complete, the editor at the publishing house will take a look at them to make sure that you are on the right track. At this point, you may be asked to start over. That is what happened to me when I was working on my Beginning T-SQL 2008 book. I was actually ahead of the schedule and then had to rewrite Chapter 1. After you have the editor’s blessing, each chapter must go through technical editing. The tech editor is experienced in the technology. He or she will test all the instructions and code samples as well as make sure that everything is accurate. The tech editor will offer suggestions on how to make the chapter better. At the beginning of the process, the tech editor might be one of your friends. By the time the project is done — maybe not. OK, that is a joke. Once the tech editor is done with the chapter, you get the chapter back for review. At this point, you can follow the tech editor’s suggestions, or not. After you make your changes a copy editor reviews the chapter. The copy editor is someone that is probably an English major, but not necessarily technical. This person doesn’t know that we want “a” not “an” before SQL Server instance because we pronounce it “Sequel Server.” This person may not know that we say “data is” instead of “data are”. So, you have to pay pretty close attention to the changes made and you get the final say. Finally, the chapter goes to a PDF proof. This is your last chance to make any changes. At this point, you might see some semi-colons you left off, or find a sentence you have to reword. You can’t do a lot at this point, so, hopefully, you did a good job during the earlier reviews. The challenge during all this is that you are writing the first draft of Chapter 8 when the project manager lets you know that Chapter 4 is back from tech edit and Chapter 1 is back from copy edit. The schedule seems OK at first, but now you are juggling multiple chapters at different stages of the process. Take a photo of your spouse and kids; you won’t be seeing them much at all for a few months. When you are finally at the PDF review stage and they ask you to work on the front matter, you know that you are almost done. The celebration is near! Writing a book has been a very rewarding experience for me. If you think you would like to try it, I encourage you to get some writing experience and get in on an existing project. You won’t get rich from royalties, but you will gain confidence, respect, exposure and maybe even the MVP award.